A recent update with Notability requires you to enable iCloud backup inside of the app. The regular iCloud backup will not automatically backup your Notability files, and could cause data loss if the iPad is broken. Tap sprocket icon (settings) in the bottom Library toolbar. Faculty, Staff and Students not only have access to Office 365, but can also install the apps/programs on up to 5 PCs or Macs, 5 tablets and 5 smartphones? You will sign into these apps using your Prep-Villa email account. We encourage all users to use OneDrive as a file backup, to prevent loss of important data. Each installation of Office 365 will be licensed as long as you have a valid Prep-Villa.com email address. If you were to graduate or leave the school, the software will be rendered read only and you will no longer have access to your email or OneDrive. Please contact your nearest technology department with any questions regarding your Office 365 account. 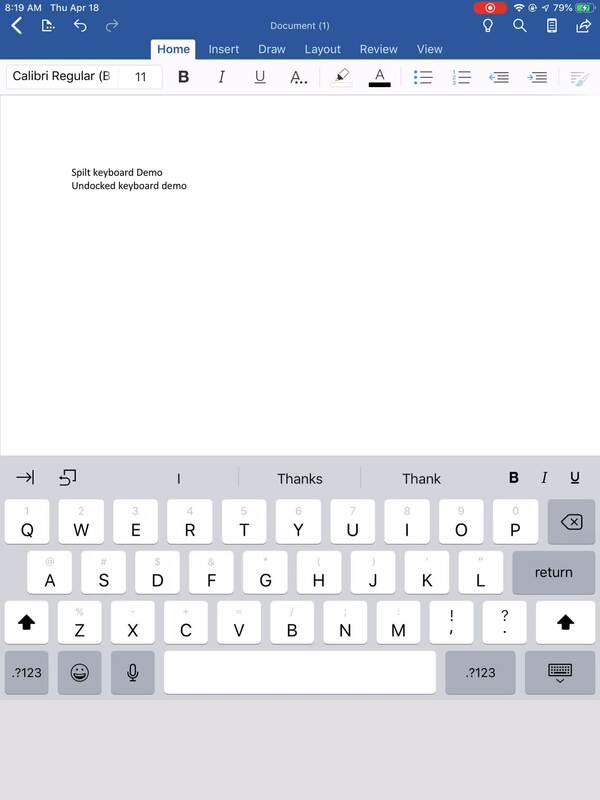 You can split or move the iPad keyboard. One way to split the keyboard is by dragging your thumbs in opposite directions from the center of the keyboard. Another way is by holding the keyboard icon, then selecting split or undock. Once the keyboard is split or undocked, you can reposition the keyboard on the screen by holding the same keyboard icon and dragging it to a place that meets your needs. You can also watch the attached screen recording for a demo on docking/undocking, and splitting/merging then moving the keyboard.